Fantastic quality beadable item finished in high polish stainless steel .This item will accept beads made on our 2.4mm dipped mandrel. 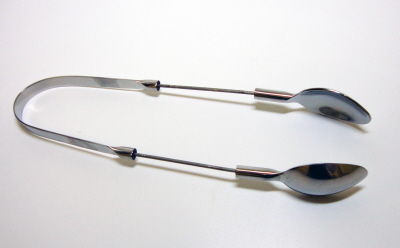 This ice tong is 240mm long x 65mm wide, the spoons are 30mm wide. The beadable part measures 60-65mm long x 2 sides.